Online advertising isn’t as alluring as it once was. When the first banner ad was placed 20 years ago, it was so new and attention-grabbing that it received a click through rate (CTR) of 44%! That’s 440 times more than today’s average CTR. However, it was the only ad on the page and it was unfamiliar to viewers. Essentially, it stood out. 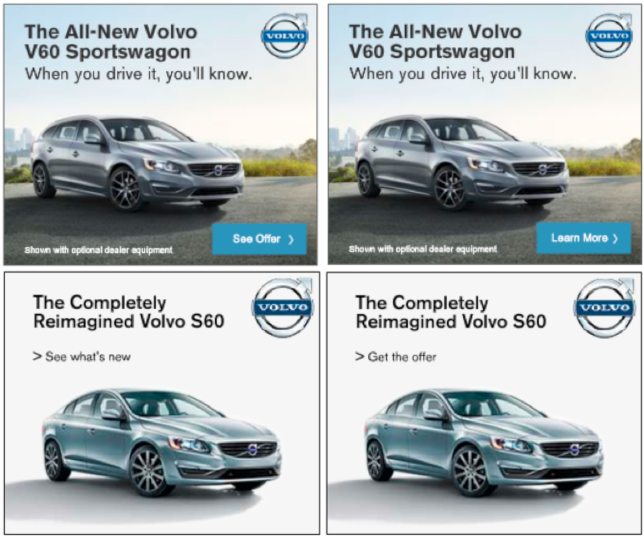 These days, display ads have to work a lot harder to earn clicks. With multiple ad placements on webpages, ad exhaustion and banner blindness, advertisers have to step up their strategy to get ahead. That’s where the value of display ads come in. Earlier this year, reports showed that display advertising revenue is currently growing at 21% a year, and is expected to hit $74.4 billion by 2016. Whether you’re placing your ads using real time bidding (RTB), direct media buys or retargeting, including display ads in your marketing mix is extremely powerful for bringing traffic to your site. 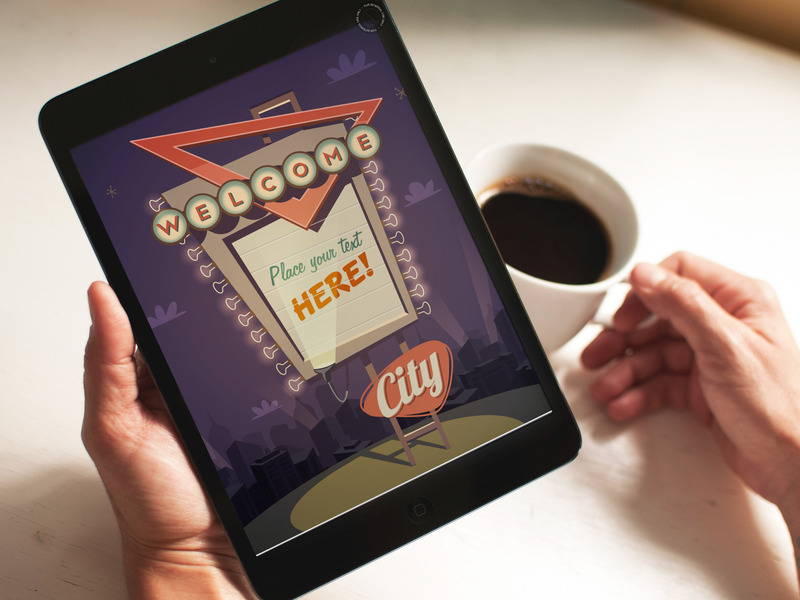 So what’s the secret to making your display strategy a success? Well obviously, having the right ads in the right place — which can easily be accomplished with media buying intel tools such as WhatRunsWhere. The best way (and truthfully, the only way) to figure out what a successful ad looks like for your campaigns is to test, optimize and repeat. Split testing takes time, but it provides valuable information about what works and doesn’t work for your target audience. Start by building 3-4 different ads for each of your campaigns and rotate through them evenly to begin collecting data. 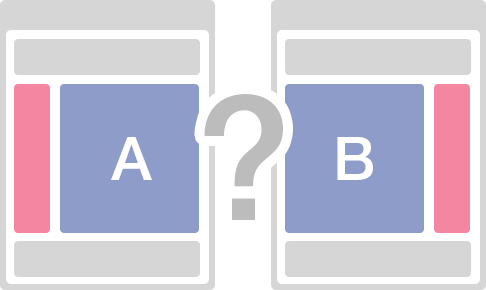 Once you start getting significant results, you can begin performing split tests to better optimize the ads that are performing best. Remember, even the smallest test can make a dramatic difference. Be sure to only test one element of your ad at a time, so you can accurately pin point what’s working. Ad copy – test size, color, shadowing, font and of course, the ad copy itself. Add a boarder or none – does your ad stand out better with a white background or will draw more attention with a black vs. colored border? Headlines – this is the most vital part of your ad so definitely test your headlines; consider stating a fact, asking a question, highlighting a feature, etc. Personalization is key for directly grabbing your audience’s attention. Your ads should be relevant to consumers, whether that means solving a problem or creating a want/need. 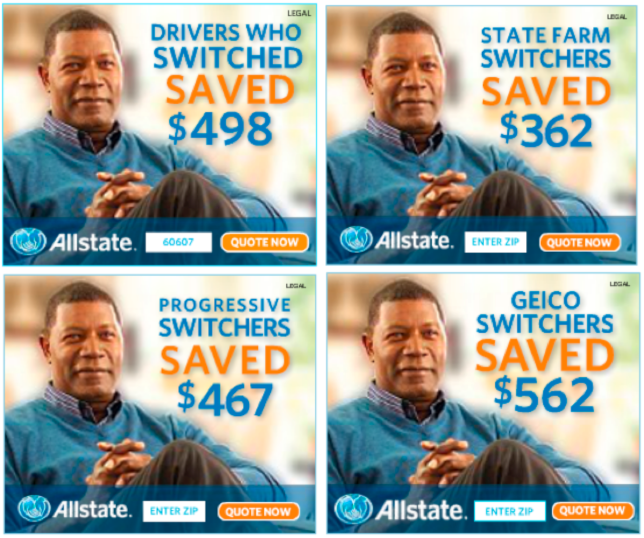 Allstate Insurance has a number of targeted display campaigns. From placing motorcycle insurance ads on motorcyclist sites, to the campaign below, which directly calls on each of their competitor’s clients. What is your ad telling the consumer to do? Testing your CTA is one of the most powerful ways to impact your campaign’s CTR. Your CTA basically sets the tone for the next step. For example, ‘Buy Now’ may be too aggressive for pushing the sale, so try ‘Shop Now.’ If you are offering a Free Trial, use ‘Try For Free’ instead. When it comes to high-value items that are not purchased online such as cars, your CTA should drive consumers to your site (no pun intended)! 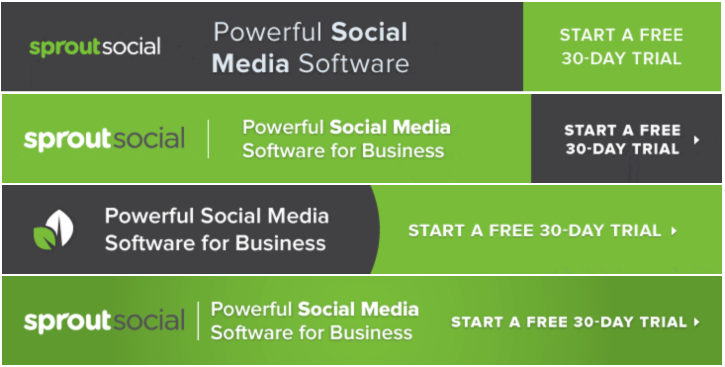 Social media management tool SproutSocial seems to have found their ideal headline, CTA and color scheme. All that’s left is to figure out what design accents these elements best. The same ad won’t work for everyone, so switch up images to target audiences with different interests. Seamless, an online delivery ordering service is split testing by switching the grilled cheese and fries to a salad in order to reach a more health conscious audience. Another tactic to reach a wider audience is to test your product or service’s benefits over features. The first ad is powerful for attracting consumers who are not necessarily used to the convenience of sending money online, while the second ad is great for attracting people who already send money online but likely are being charged a higher fee. Testing fine details are important, but don’t get bogged down by it. 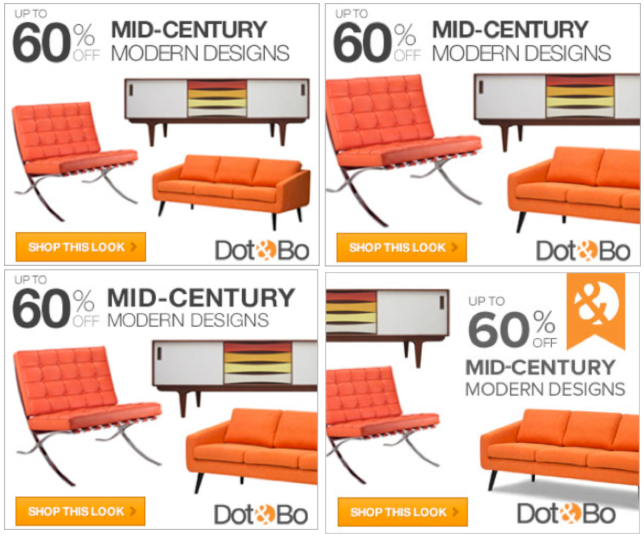 This popular online retailer is moving furniture around in their ads and while these little changes may have impacted Dot & Bo’s bottom line, swapping out the product color would certainly have made for a more dramatic split test. For example: using a different shade of orange or making it an entirely different color. Time To Get Your A/B Testing On!! It may seem like a no-brainer, but shockingly only 44% of companies use split testing when trying to boost conversion rates. Testing and optimizing is imperative to any successful advertising campaign. Hope these tips will help you get a head start. If we missed anything, please share your comments below. This post originally appeared in Crazy Egg (August 2014).